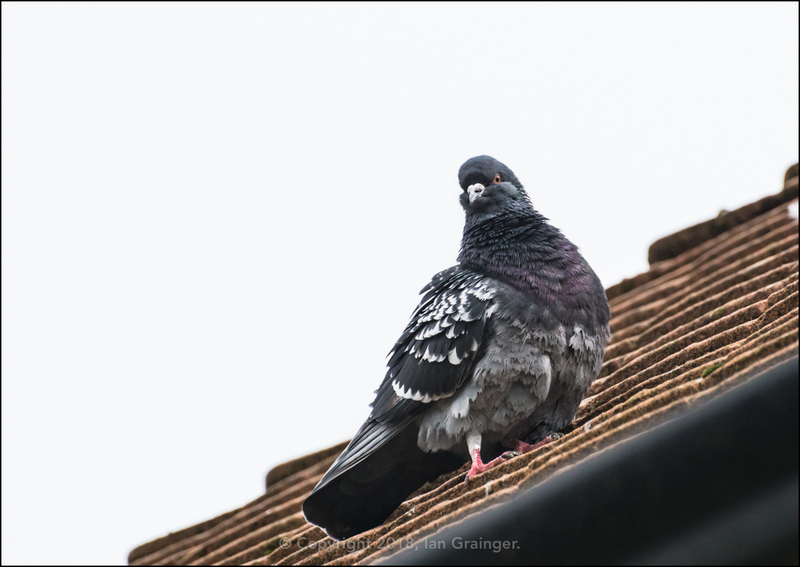 What an awful miserable cold grey day it was for my photo shoot this week. It was almost too dark to take photographs without a flash, so I ramped up the ISO, wrapped up warm, and headed off into the garden to see what I could find. 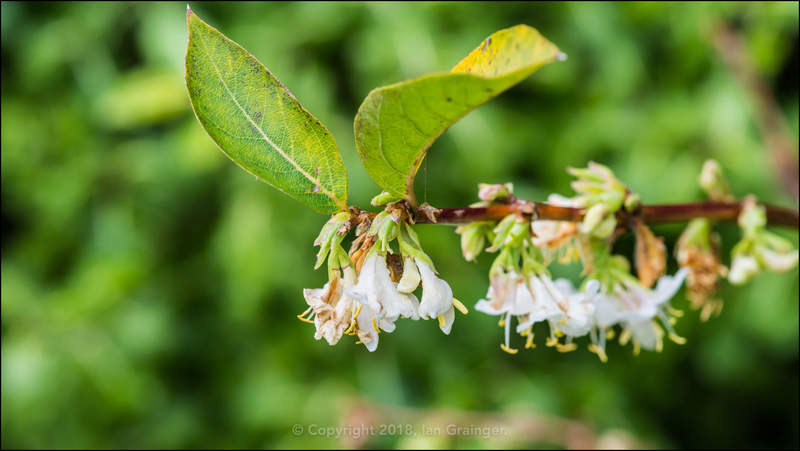 My first port of call was at this Winter Jasmine (Jasminum nudiflorum) bush, which was covered in these little white blooms, and had a wonderful fragrance. 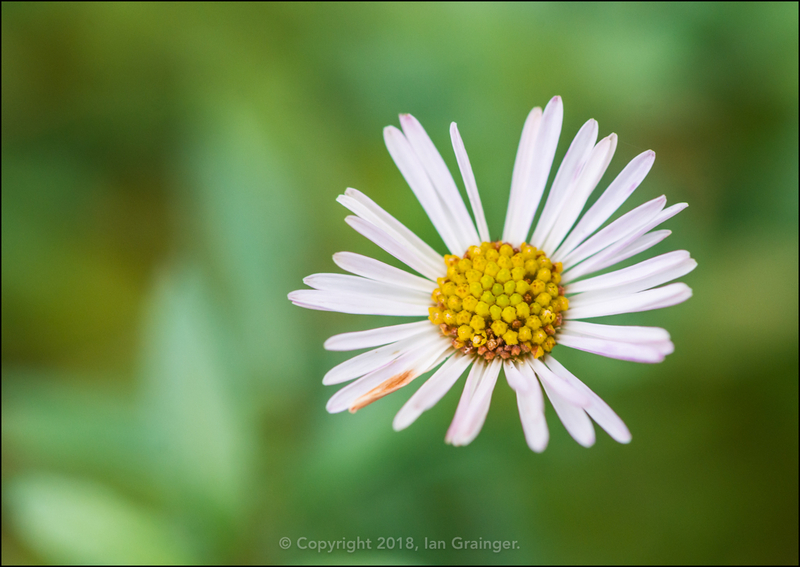 My next stop was at the Erigeron 'Stallone' (Erigeron karvinskianus), which still had a few flowers that had survived the frosty weather conditions. 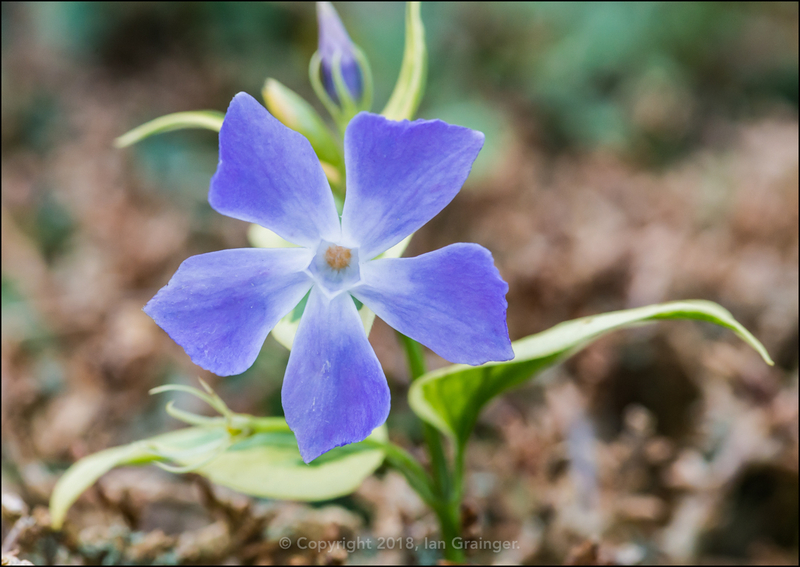 The Periwinkle (Vinca) was still going strong, with more and more flowers opening up on a daily basis. 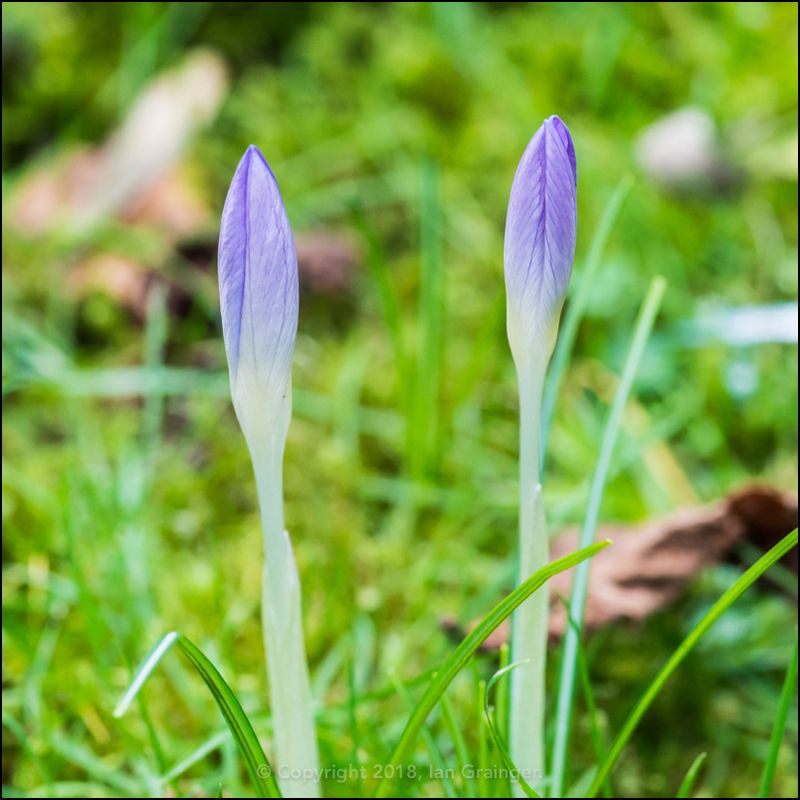 There were also plenty of Crocuses pushing up through the lawn, but with the lack of sunlight, they were reluctant to open up. 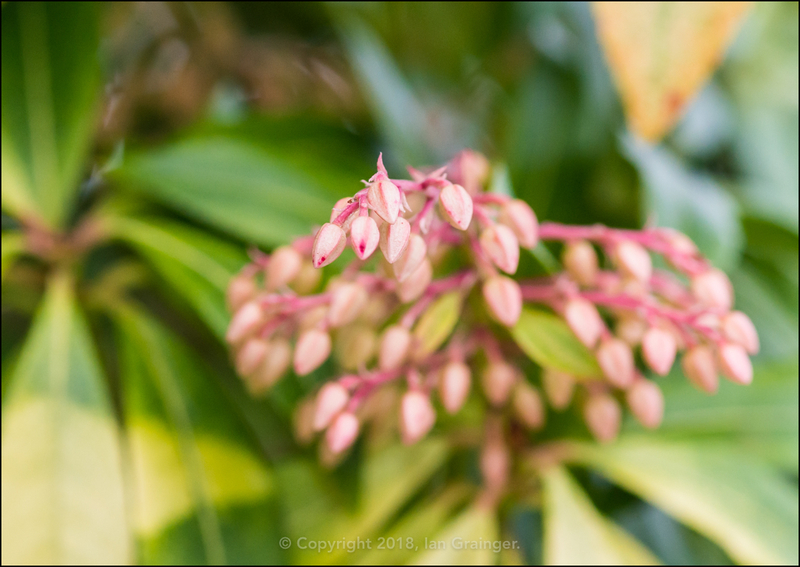 There were a mass of these tiny flower buds covering the Forest Flame (Pieris) bush, that would soon be opening up into tiny white flowers. 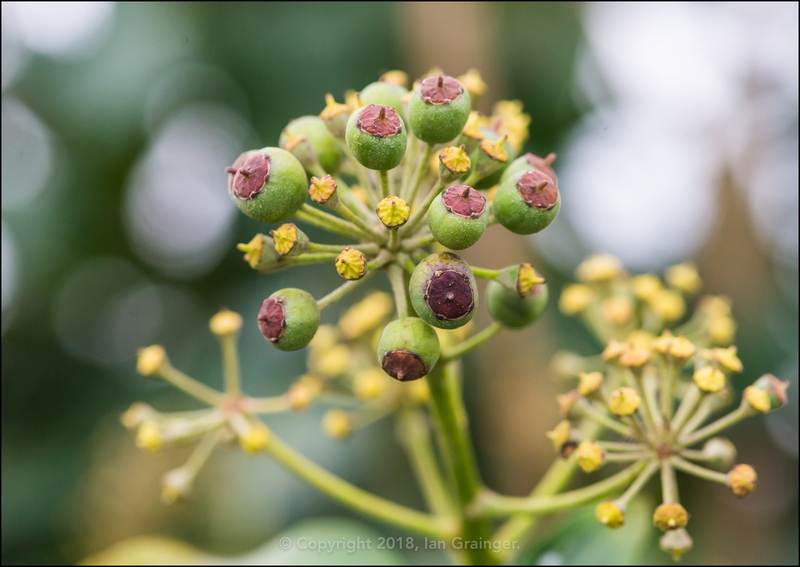 The Common Ivy (Hedera helix) berries were coming along nicely, and would soon be turning black as they ripened. 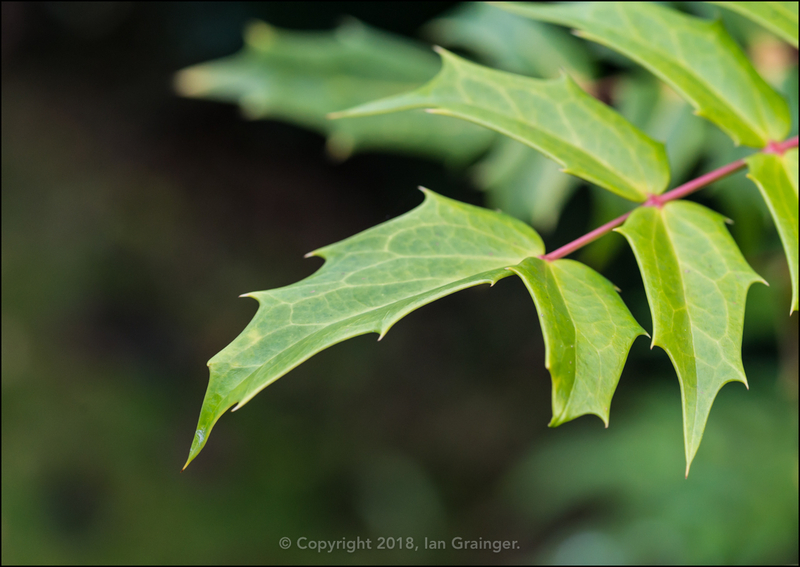 I couldn't resist taking a picture of the Mahonia (Mahonia japonica) bush leaves, as they have something about them that I think is quite photogenic. 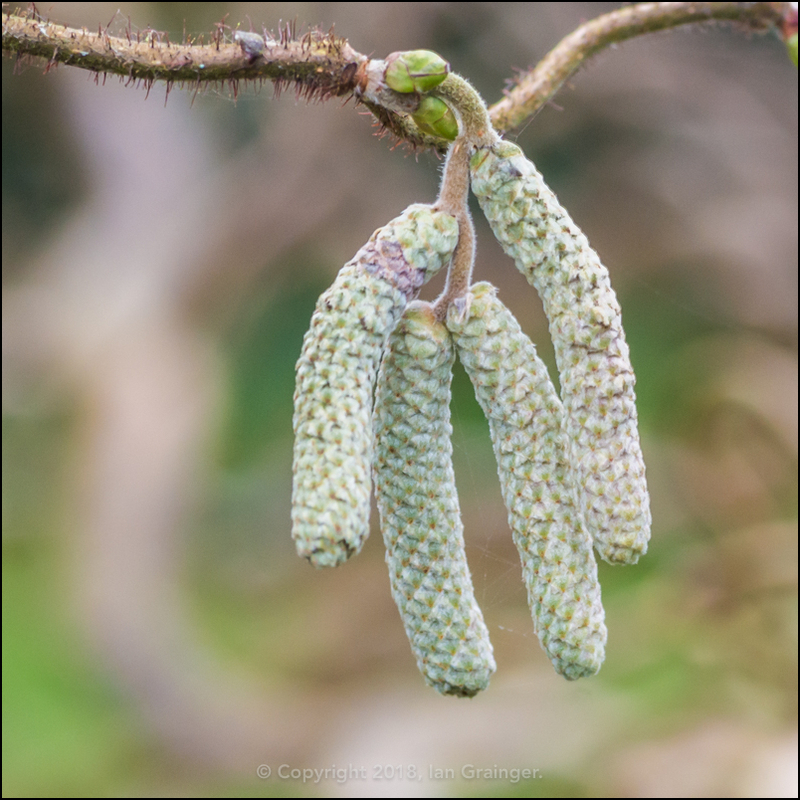 It wouldn't be long before the catkins of the Twisted Hazel Tree (Corylus avellana Contorta) would be opening and releasing their seeds. 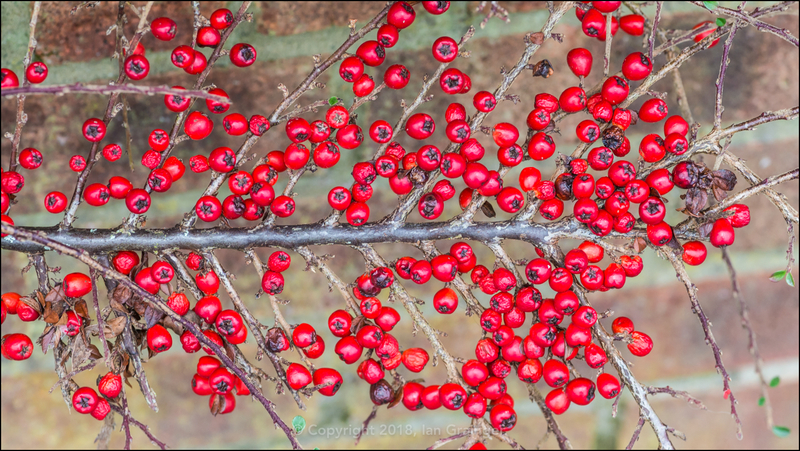 One of the Cotoneaster bushes had berries remaining. This particular one is next to a public footpath which is probably why the birds have been reluctant to feast upon them. 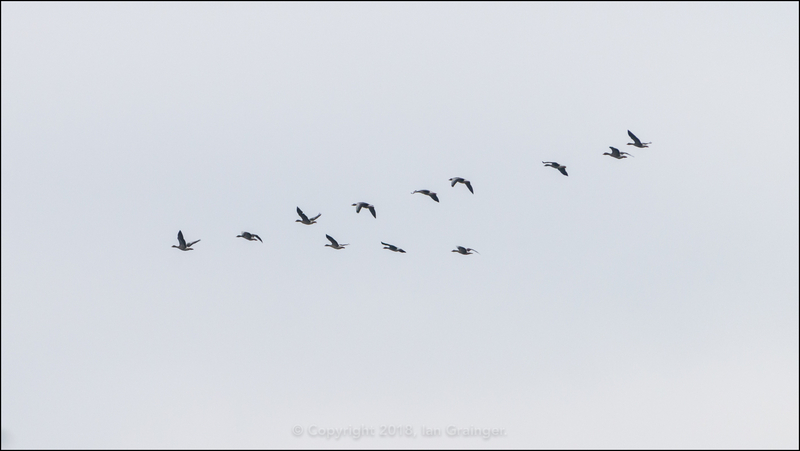 Pointing my camera towards the grey skies yielded an unexpected view of these, presumably, migrating Geese. I thought it was a little late for them to be heading off, but maybe I'm wrong? 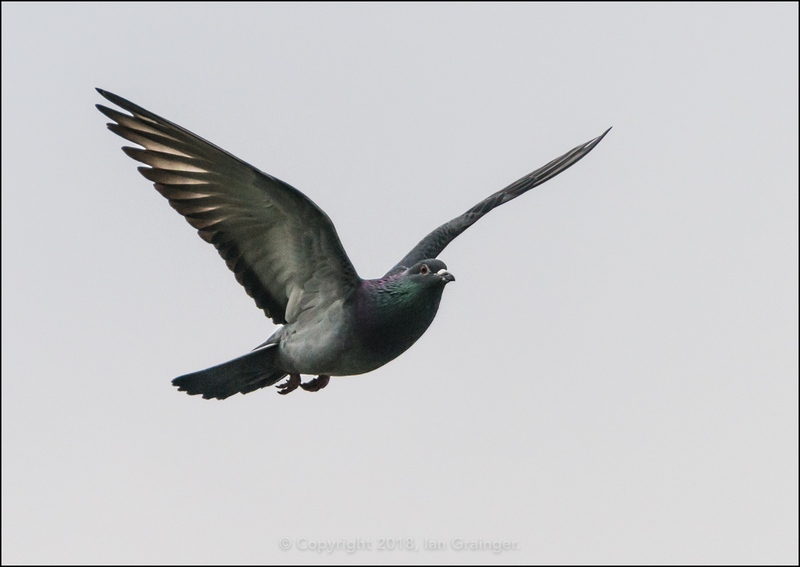 ...while this one was keeping an eye on me as it flew overhead. 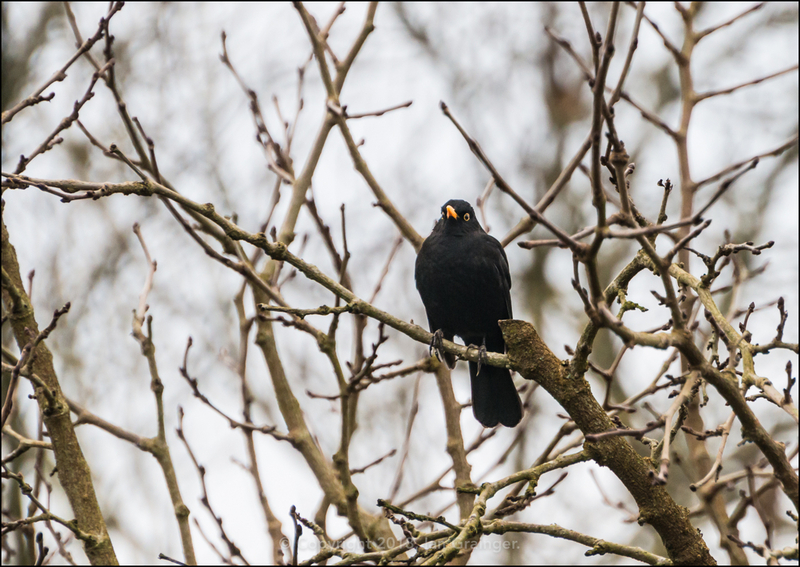 This Blackbird (Turdus merula) was also keeping me under observation, waiting for an opportune moment to swoop into the garden for some breadcrumbs. 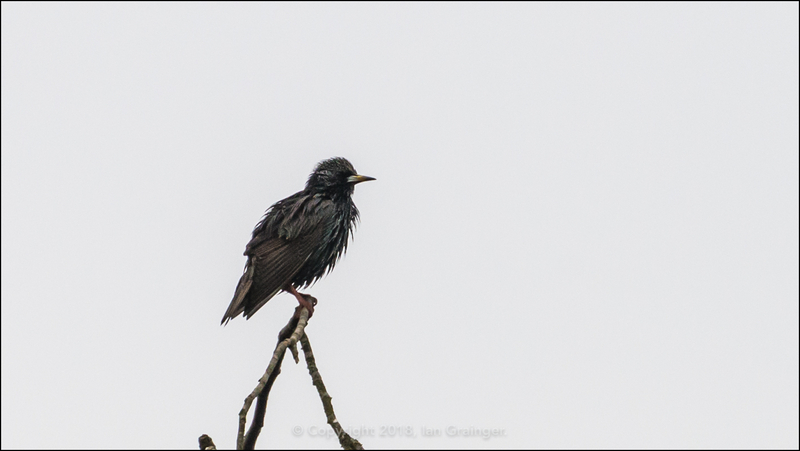 There were also a group of Starlings (Sturnus vulgaris) trying to get in on the breadcrumbs, but most of them were keeping their distance in the treetops. 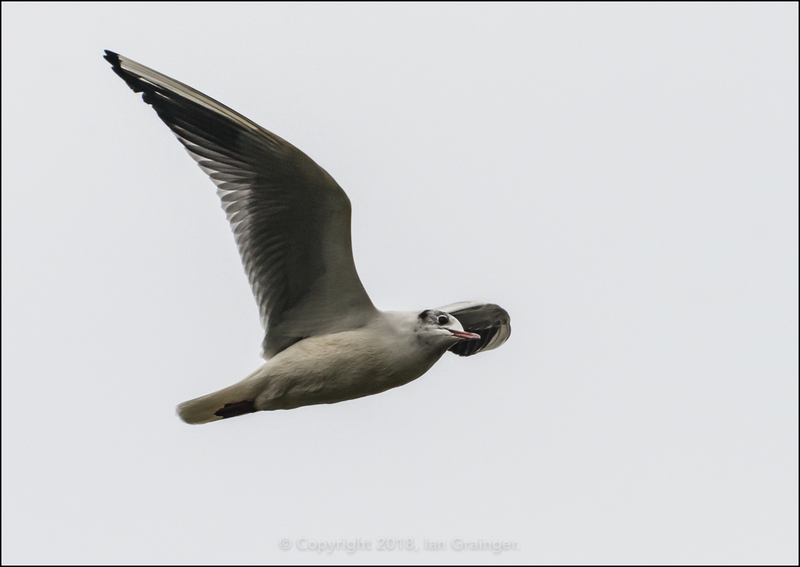 At this time of year there are also quite a few Black Headed Gulls (Chroicocephalus ridibundus) around, but they haven't developed their black head feathers yet. Finally, I haven't had time for any fishy photography this week, so here's one of Eric, my Electric Blue Ram (Mikrogeophagus ramirezi) from last year. He's grown quite a bit since this shot, which was taken a couple of months after I purchased him.